This is the second in Kenmode's blog article series entitled "10 Metal Stamping Quality Indicators for Medical Device Manufacturers" to help medical device manufacturers evaluate the level of quality in their metal stamping suppliers. The series will consist of 10 articles, published weekly. Each article will focus on a single quality indicator. The medical device industry may be among the most highly regulated industries in the world. As a result, medical industry constituents are working toward setting global regulatory standards, while manufacturers are demanding ever-higher global quality standards from its suppliers. The International Organization for Standardization (ISO) is the gold standard among quality certification standards, demonstrating that a metal stamper has met the qualifications necessary for operating in a global marketplace. Attaining ISO certifications is a testament to the stringent quality systems in place. ISO 9001:2008 is the general standard that requires companies to establish, document, implement, and maintain a quality management system and continually improve its effectiveness in accordance with the requirements of the standard. You should insist that your metal stamping supplier has ISO 9001:2008 certification as a minimum. ISO 13485:2003 is the quality management system standard specific to the medical industry. The requirements emphasize critical areas that affect design, process, quality, and manufacturing reliability for medical device products. Not all metal stampers go the extra mile to obtain industry-specific standards, as some manufacturers consider that the general ISO 9001 standard is sufficient. 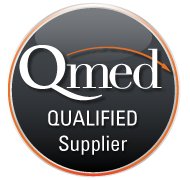 However, the ISO medical industry standard demonstrates a supplier’s focus on and knowledge of the specifications and requirements unique to medical devices and should be considered a mandatory qualification for a metal stamping supplier.